I love coconut! I really love Mounds candy bars. But boy, are they full of calories? So how about something on the lighter side? 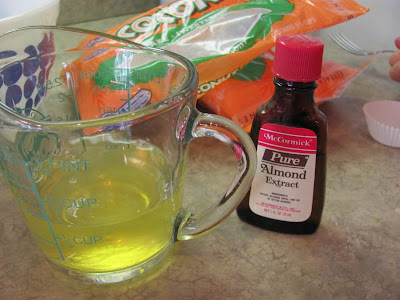 Whisk egg whites, sugar and almond extract with a fork. Add coconut and mix well with the fork. 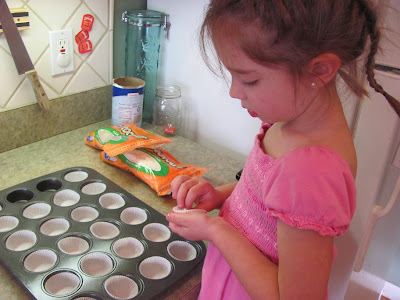 Prepare a mini muffin pan with paper liners. 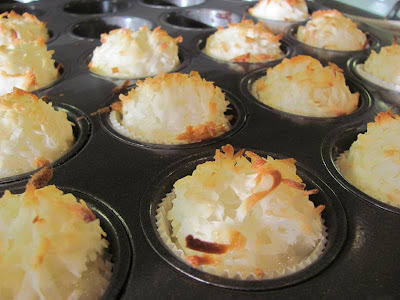 Pack a cookie dough scoop (about 1 Tablespoon size) with coconut mixture and scoop into liners. Bake at 350 degrees for 15-18 minutes until lightly golden brown on tops. 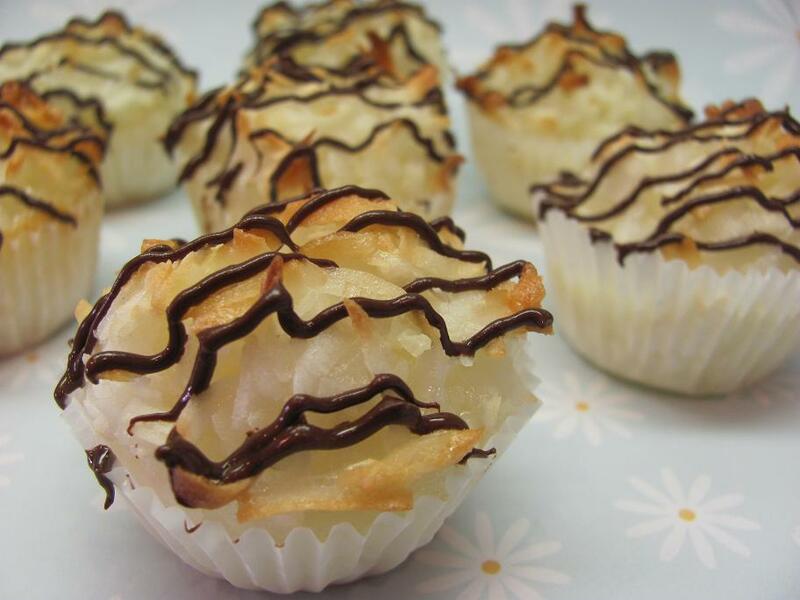 Drizzle melted chocolate over the tops of macaroons and enjoy! These are so yummy and Gluten-FREE! I've been wanting to try making macaroons and this recipe looks perfect! yummmyyy! i love coconut and chocolate- looks so scrumptious! I had no idea these were so easy! I'm totally making these with my kids over the break- thank you! !